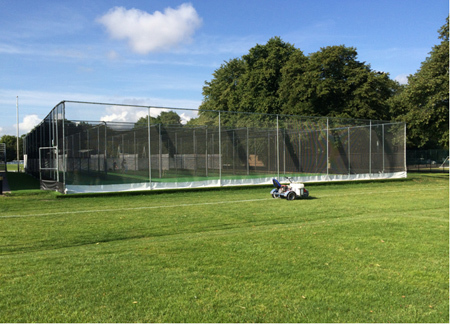 otal-play’s solution to the school’s needs came in the form of a six-lane, 33m fully enclosed practice facility based on the company’s tp365 ECB Approved Pitch System. Before installation started, the total-play team cleared the site of the existing practice pitches and undertook all preparatory ground works ready for the laying of the new dynamic sub-base, shock pads and carpets. 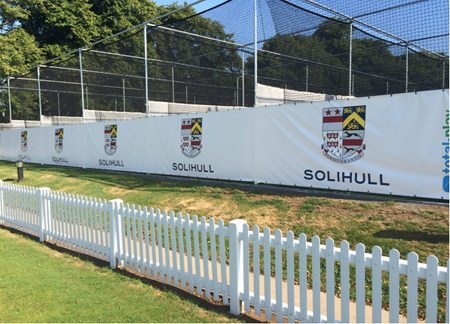 The team then installed tailor-made steelwork and fitted it with total-play’s unique HD Protection Tunnel netting system; which creates a ‘cocoon’ in each lane to not only protect players from errant balls from adjacent lanes but also reduces repairs and maintenance due to consistent tension throughout the netting. 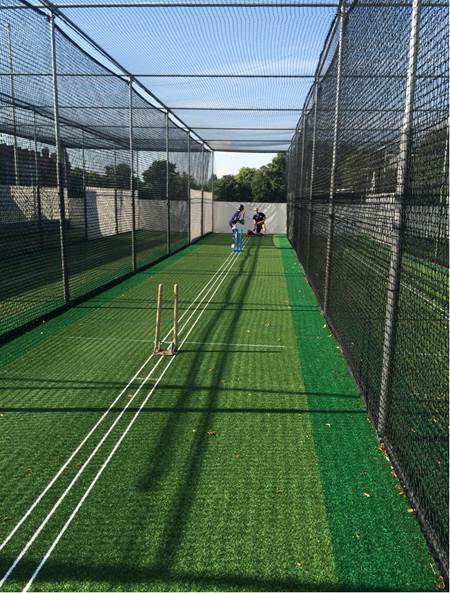 The specification was completed with the inclusion of white coaching lines in four of the six lanes, as requested by the client, and provision of space suitable to locate the school’s new spin bowling machine.